A traditional property with lots of character and charm available in this prestige historic building in the heart of central London. A wonderfully wide and very pretty Grade II listed period newly redecorated house (2,757 sq ft / 256 sq m) with an attractive west facing landscaped garden (approx 50`). A wonderfully wide and very pretty Grade II listed period house, ideal for any large family or entertaining, with an very attractive rear garden. A wonderfully wide period house which is located in an exclusive residential garden square in the heart of Holland Park. A fantastic and beautifully presented two double bedroom upper maisonette with two superb roof terraces and great entertaining space. 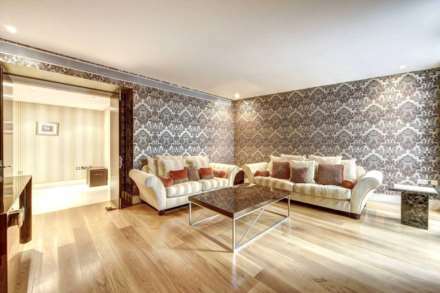 A well presented three double bedroom modern mews house in this private cul de sac in Holland park close distance to Holland Park Avenue amenities and Holland Park Central line station. An unfurnished three bedroom house with private rear garden with a home office/study/playroom /storage equip with electricity and heating. Unfurnished 2/3 bedroom flat on one of the most prestigious roads in Holland Park, which has been recently refurbished to an extremely high standard, ideally located within 2 minutes walking distance of Holland Park underground station (central line).